Four new yachts of over 30 metres and a design philosophy entirely at the service of the megayacht owner. With a special equipe of designers who provide services directly at Customer’s home, anywhere in the world. 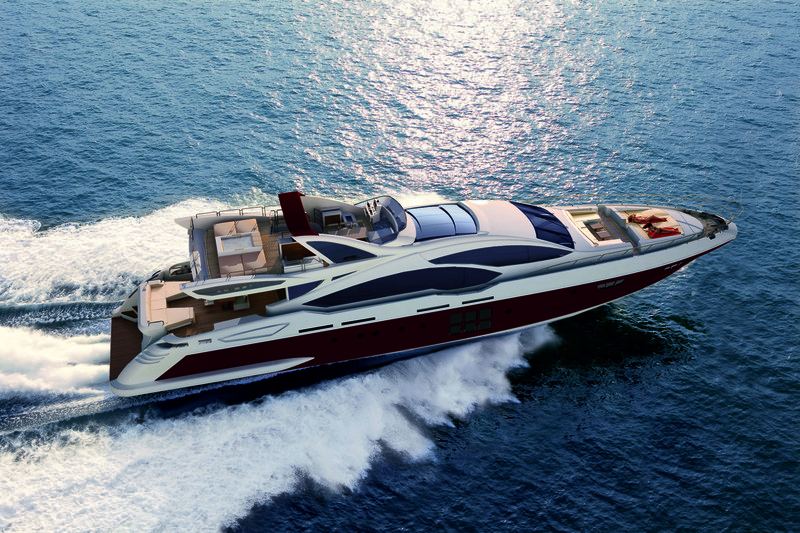 All this is Grande, or better, Azimut Grande. The new family encompasses the entire Azimut Yachts offer in the over 100 feet segment and gives a characteristically Italian name to the approach that Azimut has always taken to customer relations: an approach that has made it the favourite shipyard of Megayacht owners throughout the world since twelve years. 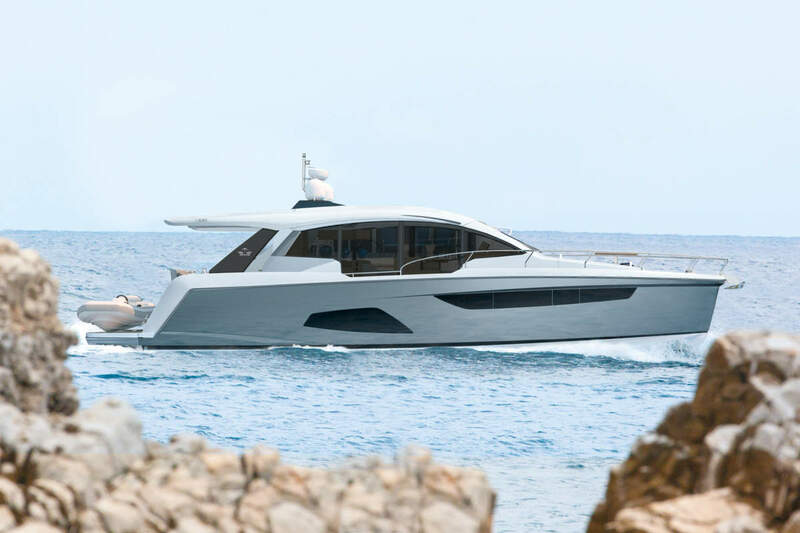 “It is pronounced ‘grande’ – points out Ugo Garassino, Deputy General Manager of Azimut Yachts, – this translates as ‘big’, ‘great’ or ‘huge’, but means much, much more.” “For once we’re not talking about the flagship of a fleet, but rather a whole fleet of flagships. 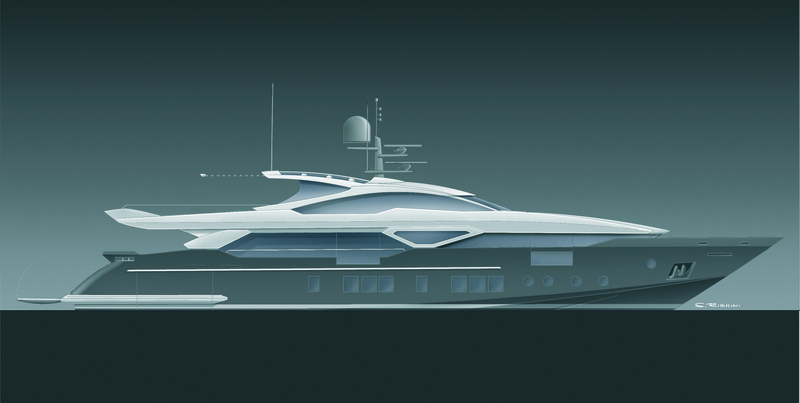 – continues Garassino – an exceptional portfolio of Megayachts, which by 2013 will have expanded to include four new models. Over the next few months, work on the Azimut 120 SL will be complete, while the 100ft Raised Pilot House, the 110ft Widebody, and last but not least the 126ft with two and a half decks will be launched in the next three years. These projects are destined to leave a lasting impression on yachting history. This is GRANDE.” All the attention to detail and stylistic excellence of Italian craftsmanship. This is GRANDE. All the renown of the Azimut Benetti Group: world market leader in so many ways, not least in economic and financial stability. This is GRANDE. Freedom to use the most advanced Facilities and the best creative and production capacities within state of the art production establishments. 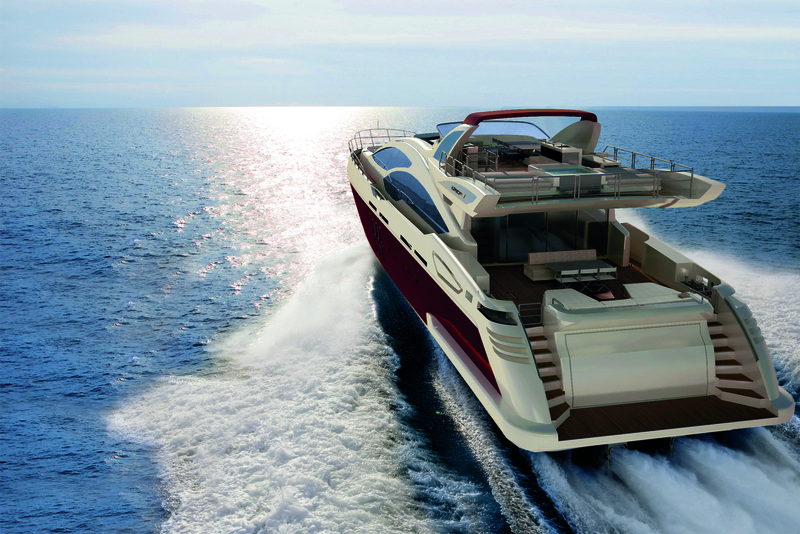 The incredible deluxe shipyard in Viareggio, which has always welcomed Azimut owners. More than 40,000 m2 in which expert shipbuilders work alongside qualified craftsmen and which houses an innovative, rich styling lounge, to give the ultimate personal touch to each vessel. This is Grande.” All the listening capacity of a Shipyard which provides a Personal Design Equipe entirely at the service of its customers. This is one of the new elements of the Azimut Grande project: a special team to transform dreams into fully operational designs. The Personal Design Equipe is happy to meet the owner anywhere in the world, to discuss his needs, discover his wishes and – in no time at all – present him with a proposal that will transform his dreams into reality. This is Grande. 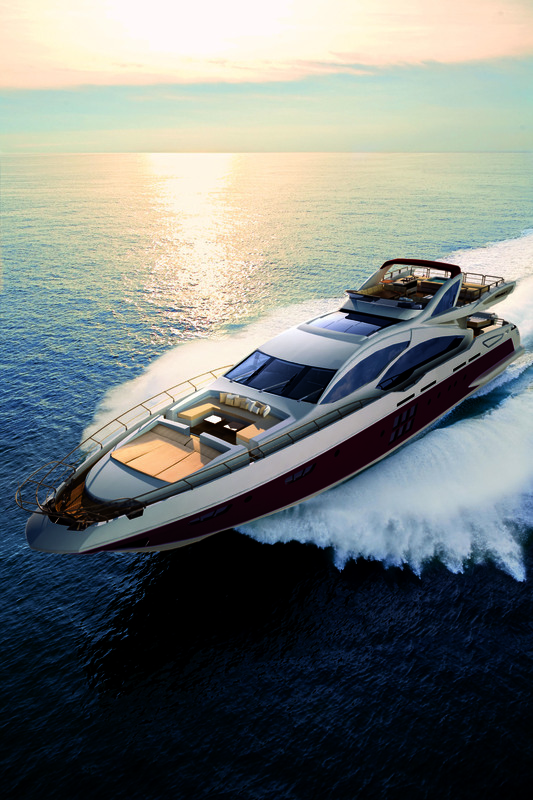 The direct relationship with the customer and the ability to customise a vessel to the maximum is one of the great strengths of Azimut’s approach that have always made it stand out, as shown by the experiences of Philip Rinaldi, owner of “Vivere” (116ft Azimut): “A Megayacht not only represents your tastes, but is also, and most of all, a way to express yourself, to show who you have become over the course of your life. This is why I chose Azimut as a partner in building my latest Megayacht: I wanted the vessel to reflect my personality as far as possible; I wanted it to be perfect, a precise reconstruction of the image I had in mind: or even better. During the months I spent in Viareggio, it was exciting to watch my dream take shape. My blending with Azimut grew day by day, together with my yacht.” Azimut Grande is a new adventure in entrepreneurial, design and cultural terms. I was in Dubia when they announced these projects you mention be interesting to see how that impacts Ferretti and Pershing as those brands are also own by the same group and operate in the same markets.